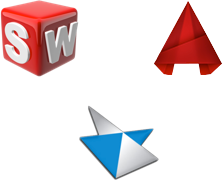 Run your favorite CAD software in a browser. Your software on the cloud. You're going to love it. Frame frees your Windows desktop applications to run in the cloud, allowing you to work from anywhere, on any device - even a Macbook, iPad, or Chromebook. Access your applications from a browser with no plug-ins required. You can run your own apps on your own Frame system. Get started in under 15 minutes: sign up now! How hard is it to get CAD applications to run in the cloud? Configuring Autodesk Revit® to run on this page took less than 15 minutes and didn't require any changes to the application. You can now run it anywhere, on any device, with a single click. Frame has been pressure tested by leading independent software vendors to ensure 100% application compatibility between a desktop workstation and the cloud. This gives you complete peace of mind that your applications can be deployed on Frame with absolutely no downtime.  Want to learn more about deploying your CAD applications on Frame? Whether you are an individual CAD user, a team of CAD users, or an educational organization offering CAD as part of your curriculum, you can use our Frame for CAD Best Practices to start running CAD software in the cloud. How does Frame perform on real world networks? "Good experience....the wave of the future"
"VERY impressed with this...it worked much better than I anticipated"
"This could be the future solution for all graphically intensive applications." "It works flawlessly from Tokyo"
"Very good, using the connection to Japan felt like I remote into my machine at home from work." "AWESOME! Looking at the Future right now!"